eBay has a subsidiary company called half.com where you can search for and pick up a lot of things (video games) for cheap. One of the first games I searched for of course was EarthBound, and… the attached picture might evoke some of the same thoughts it did in me. I added it to my wishlist! It’s true! You can see for yourself here. I’m going to write letters to Shigesato Itoi and the staff members who worked at HAL asking if they have access to any copies of the incomplete 64 version I might be allowed to look at if I came to visit. I’m sure there are at least half a dozen forgotten copies nestled away somewhere, so why not? Since, if I remember right, someone also got into contact with the translator for Mother… it can’t be too hard. The world is a small place, and while it’s probably hard to reach people like Itoi, just being a developer for a famous game doesn’t make you an unreachable celebrity. 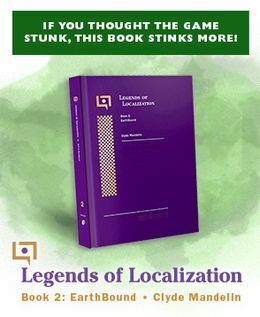 I could also frame it along the lines of “I work for a… popular videogame reporting site… and would be very interested in writing an article on the history of this game” implying they’ll get some publicity – good if the only publicity they’ve had to that point is their name in some credits. If they don’t have to do anything other than respond with “yes” and let me visit them, why, who’d refuse! Some day, I hope the ROM of the prototype finds its way to the Internet… It would be really interesting. Do they have Duke Nukem Forever? I think ebay is messing with our heads. It’s like they’ve decided to anticipate a leak of the cart of something. Maybe they have a psyhic? 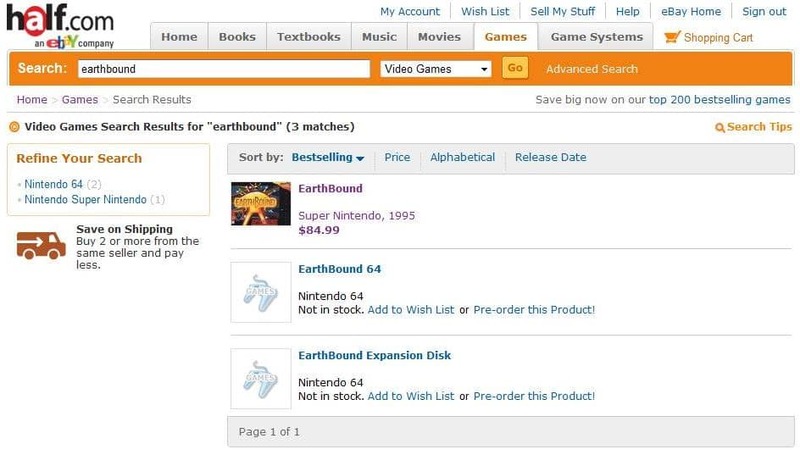 I saw this a while ago when I was looking for snes games in particular earthbound, funny how they can have a game listed that doesn’t even exist. So EB64 was gonna have an expansion disk like F-zero? Interesting. 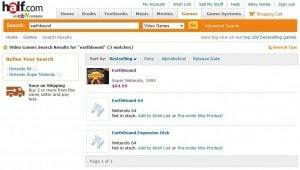 I would so like to play Earthbound 64 one day, but Earthbound is $80?! thats just insane! 1.E64 is still there XD 2.The price of Earthbound bumped up…not again!